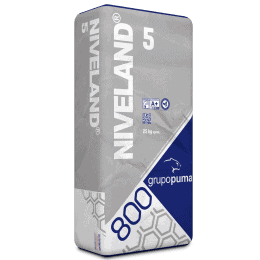 Two-component product based on hydraulic binders, aggregates, synthetic resins and colourants. Interior and exterior facings and floors. Levelling porous substrates: mortar, brick, etc. 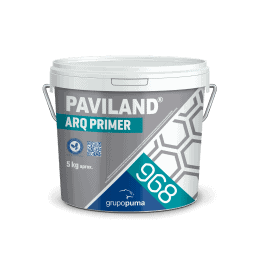 It is advisable to apply Paviland Arq Primer R for covering pores. 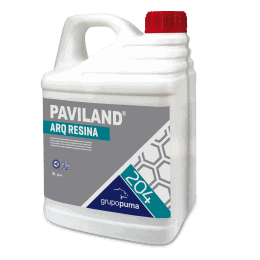 Levelling non-porous substrates and ceramic after applying Paviland Arq Primer. 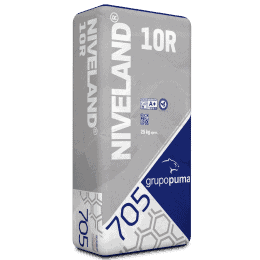 This product comes pre-dosed making it easy to prepare. Swimming pool and water park surrounds. Commercial premises, houses, lobbies, etc. Before applying the product, repair any cracks and/or fissures on the existing covering, opening them with a diamond disk and then vacuum up the dust. After this operation has been completed, seal with mortars from our range, according to the nature of the substrate. 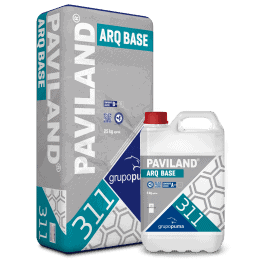 Use PAVILAND ARQ BASE for sealing and levelling porous substrates, we recommend a prior application of PAVILAND ARQ PRIMER R for sealing the substrate.  Prepare cement substrates using sanding tools or similar equipment in order to achieve a flat surface and appropriate absorbency. Floors and ceramic facings must be corrected bonded to the substrate. 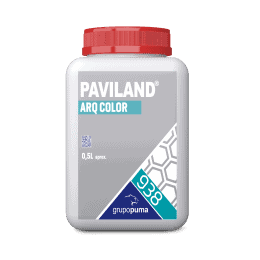 Once this has been tested, apply PAVILAND ARQ PRIMER to the surface before applying PAVILAND ARQ BASE. 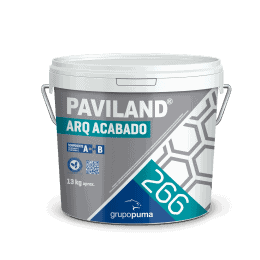 PAVILAND ARQ BASE is a two-component product, one of them being powder and the other liquid, which is why it needs to be mixed for two minutes in a homogeneous manner to achieve a uniform mixture, without lumps and with an appropriate consistency. Once mixed, the lifetime of the paste is approximately 30 minutes at a temperature of 20ºC. Homogenise component A (liquid) first then pour it into a clean recipient, then gradually add component B, mixing mechanically with a low speed mixer until an appropriate, workable consistency has been achieved without lumps. 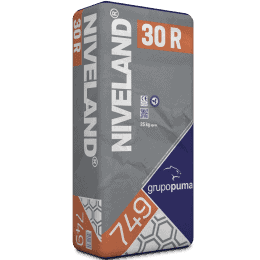 On cement-based substrates dampen the substrate and wait for the film of water to disappear. 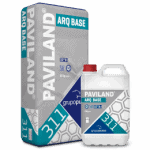 Apply PAVILAND ARQ BASE spreading it uniformly according to the thickness required (no thicker than 4 mm) with a trowel or spatula. 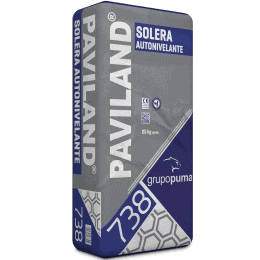 The hardening and curing time is approximately 24 hours in normal weather conditions on general substrates, although this can vary accordingly. Do not add water to the product during the mixing or application and spreading processes. Use gloves while handling the product. For thicknesses greater then 4 mm, apply in several coats and wait at least 24 hours between coats.